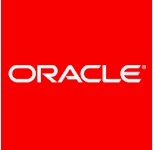 About Us:-Oracle Corporation is an American multinational computer technology corporation, headquartered in Redwood City, California. As a member of the software engineering division, you will use basic knowledge of software architecture to perform tasks associated with developing, debugging or designing software applications or operating systems according to provided design specifications. Build enhancements within an existing software architecture. Work involves some problem solving with assistance and guidance in understanding and applying company policies and processes. Gaining competence in own area and acquiring a higher level understanding of role, processes and procedures. BS degree or equivalent experience relevant to functional area. 0-2 years of previous software engineering or related experience.